Cruising around the city of Toronto in a Mazda CX-3 in Jet Black Mica is a treat in and of itself. But driving in style to the Aviva Centre to watch the Rogers Cup women's finals with my husband at my side is something else altogether. With the luxurious interior, advanced navigation system and i-ACTIVSENSE Safety Technology of the CX-3, we arrived right on time to enjoy a delicious lunch in the Mazda VIP Lounge before the final match between Belinda Bencic and Simona Halep. The Mazda VIP Lounge was located in a large tent near the stadium which also housed the silent auction. 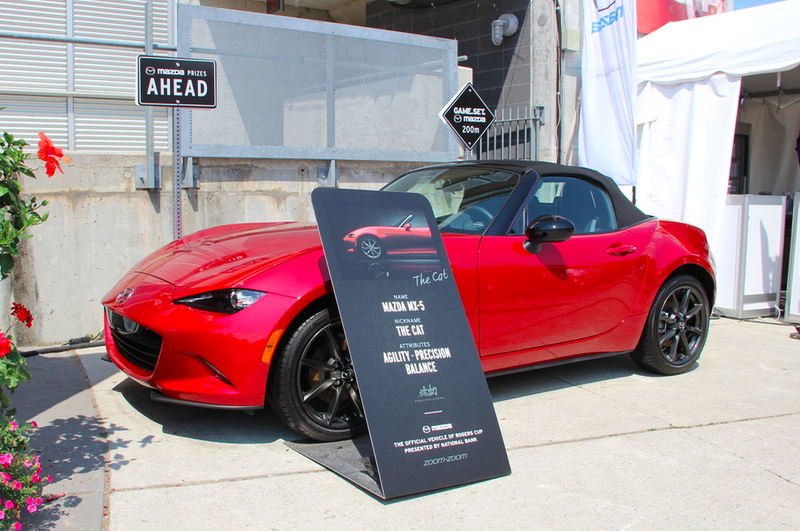 Anyone who showed their Mazda key at the Mazda booth was given a bracelet that would grant admission to the VIP lounge. Once in the lounge, we were able to choose from a variety of ready-to-serve dishes, pre-made sandwiches or a self-serve salad bar. 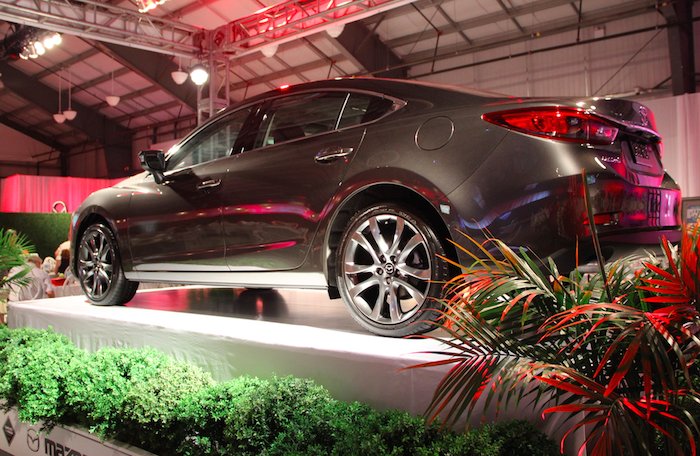 Seating was ample and our view of the Mazda6 impressive. Throughout the grounds, we spotted a number of other schnazzy Mazda cars, such as the 2016 Mazda3 Sport, a.k.a. "The Ace." 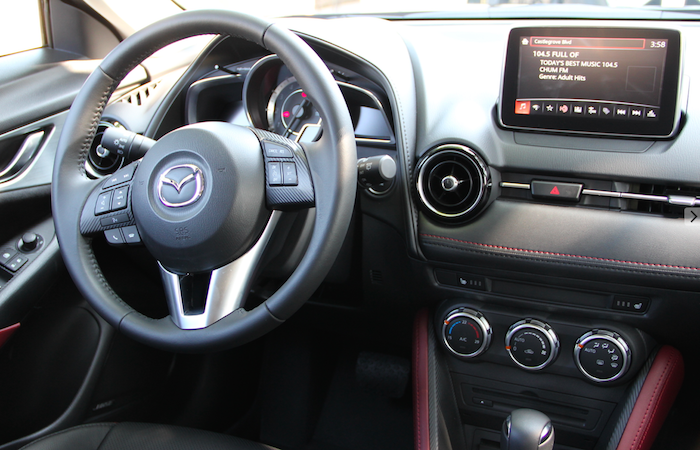 And we can't forget the seductive-looking Mazda MX-5 convertible in Soul Red Metallic, aptly nicknamed "The Cat." 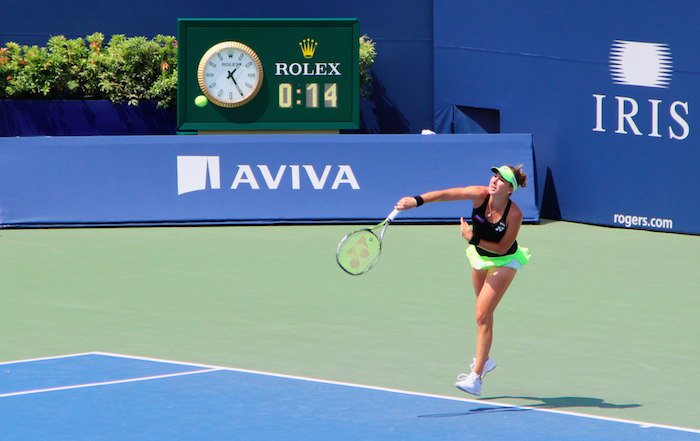 As the start time drew near, my husband and I made our way to our seats to witness 18-year-old Swiss tennis player Belinda Bencic's win over Halep, who forfeited in the tie-breaker. While I'm told it wasn't the best championship game, you have to give Bencic credit for having beat Serena Williams in the semi-finals less than 24 hours prior to her final match. 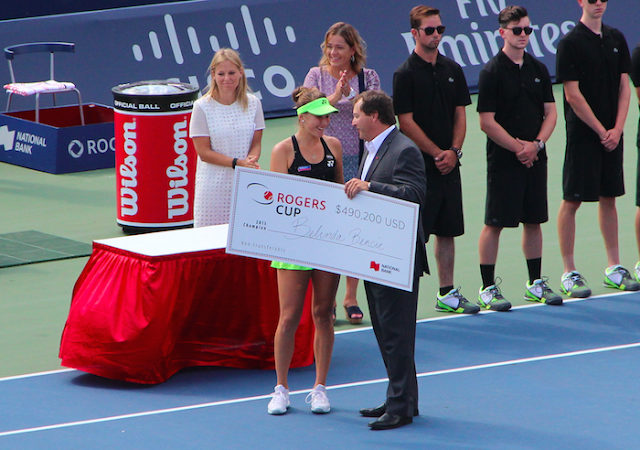 Congratulations to Bencic on an overall impressive Rogers Cup win! 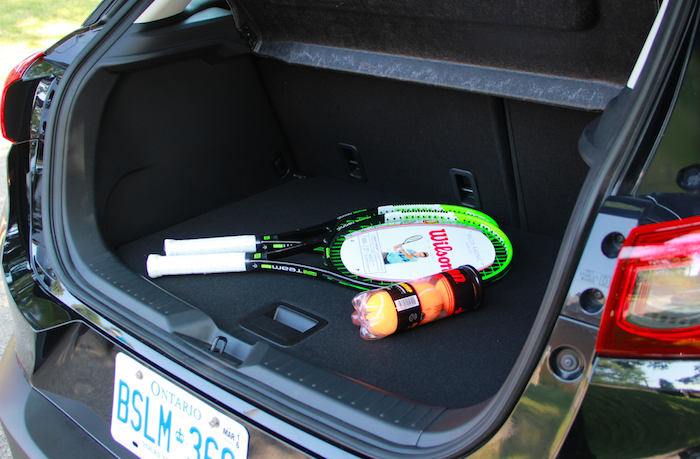 Our VIP weekend not only included a complimentary test drive of the sporty CX-3 and tickets to the Rogers Cup finals. We also received some brand new tennis gear to enjoy a round of tennis with the family. Game on! 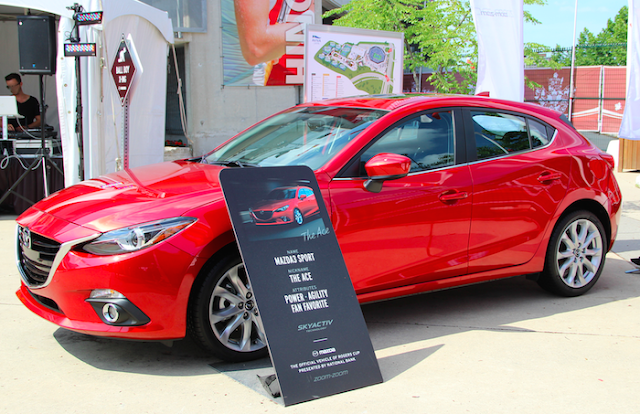 Disclosure: We received a complimentary tennis experience courtesy of Mazda. Any opinions expressed in this post are my own. Sounds like an amazing time and the cars are absolutely gorgeous! The weather was great, too. So glad it didn't rain. Those vehicles look so slick and sleek! Looks like it was interesting event, never been to any tennis tournaments before. Cool rides! 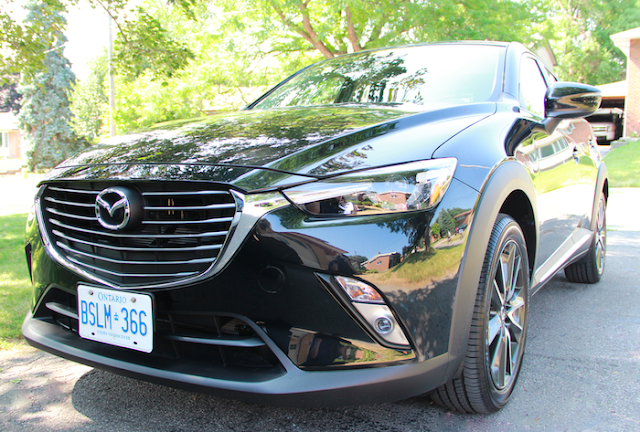 I love how the Mazda3 Sport and CX-3 look, so sleek and sporty.